At SFA and SFM our mission to improve the health and economic vitality of the communities we serve are not just words, but a way of life for our team. We are inspired each day to make a difference in our venues and with our clients. By providing responsible, no-fluff planning services and excellence in management, more communities can plan, fund, develop, or manage sport and recreation centers – creating more access to sport for everyone. Studies like those done by the Robert Woods Johnson foundation illustrate the immense benefits for children, families, and communities who participate in sport. According to their research, physically active children are one-tenth as likely to be obese, test up to 40% higher than non-active counterparts, are 15% more likely to attend college, achieve 7-8% higher annual earnings and more. We also know that these benefits are part of an intergenerational cycle; children of active moms are twice as likely to be active and experience the benefits of physical activity. Inadequate access to places to play is an issue that plagues many families in the United States and leads to inactive lifestyles. At SFA, we are doing our part to increase access to sport with honest, thoroughly researched planning services for new facilities to create sustainable business models. At SFM, our management services ensure that sports and recreation facilities are operated to the highest of standards and are working to find ways to increase the number of low-income families that can enjoy access to these premier facilities. A growing industry trend is the development of sports tourism destinations. These facilities are designed with the goal of economic impact in mind – to the tune of millions of dollars injected into a local economy through travel sports. 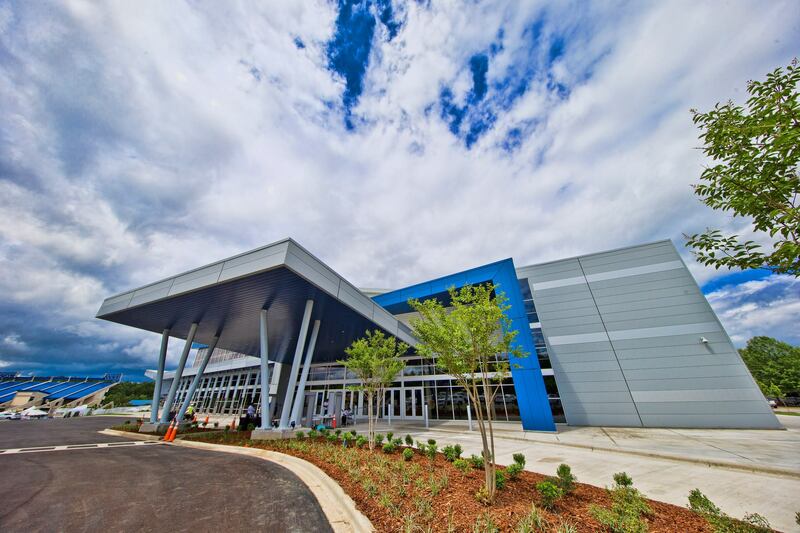 Sports tourism facilities, like Rocky Top Sports World, Myrtle Beach Sports Center, or the Hoover Metropolitan Complex are built to attract visitors and events rights-holders to their community to eat, stay, and play. Often times these facilities spur economic growth in the hospitality industry with new restaurants and hotels being built to serve the new tourism-generated market.